How Much Exercise is Needed to Lose the FAT? It has been known that losing weight is a game of discipline and balance… Balance between food intake and physical activity. But what is not known is how much activity is needed to lose the fat inside the viscera or abdomen known to be the Bad Fat! Remember if you want to lose weight: the equation is more toward lesser intake of FOOD… while If you want physical conditining and maintenance of weight, the balance points more to physical activity. The purpose of this study was to determine what effect aerobic and resistance exercise training has on gain of visceral fat during the year following weight loss. After being randomly assigned to aerobic training, resistance training, or no exercise training, 45 European-American (EA) and 52 African-American (AA) women lost 12.3 2.5 kg on a 800 kcal/day diet. Computed tomography was used to measure abdominal subcutaneous and visceral adipose tissue, whereas total fat and regional fat (leg, arm, and trunk) were measured by dual energy X-ray absorptiometry after weight loss and 1 year following the weight loss. Because not all the subjects adhered to the 2 time/week 40 min/day exercise training during the 1-year follow-up, subjects were divided into five groups for analysis: aerobic adherers, aerobic nonadherers, resistance adherers, resistance nonadherers, and no exercise. No significant differences were observed between the aerobic training and resistance training adherers for any variable. However, the aerobic (3.1 kg) and resistance (3.9 kg) exercise adherers gained less weight than any of the other three groups (all >6.2 kg). In addition, the two exercise adherence groups did not significantly increase visceral fat (<0.8%) as compared with the 38% increase for the two nonadhering exercise groups and the 25% for the nonexercise group. As little as 80 min/week aerobic or resistance training had modest positive effects on preventing weight regain following a diet-induced weight loss. More importantly, both aerobic and resistance training prevented regain of potentially harmful visceral fat. I have been a believer of this fact… that relying heavily on physical activity alone to help one lose weight is doomed to fail. One needs to brisk walk for example around 70 minutes to burn 250 calories while eating french fries in a 5 minute snack time will already give you 320 calories!!!! The above study points out the balance between cutting calories and physical activity. The mere 80min per week exercise resulted in the prevention of weight regain after a diet induced weight loss … especially the prevention of the regain of the visceral fat which is considered the Bad fat! Now that is definitely not difficult to do!!!! How much more if we do physical activity on a daily basis? Once you get used to it…you’re hooked. An example of being hooked: Just last night for example, I have to be in a symposium to give a lecture to cardiologists…but I really squeezed in at least a 20 min run prior to preparing for my talk…boy was it exhilirating to have sweat it out and boy was it refreshing afterwards! A little of something is better than Nothing…. 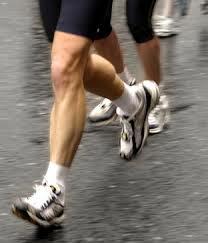 Running and The Risk of Joint Disease…. Will My Jogging Cause Arthritis? A 14 year prospective longitudinal study published in Arthritis Research and Therapy involving 961 men and women, aged 50 and over, found results that will be good news to us runners all over the world. I am not really a “runner” like my good friend Yong Larrazabal of the Cebu Doc Group of Hospitals but I do jog daily around 4k as my form of physical activity. We studied the long term impact of running and other aerobic exercise on musculoskeletal pain in a cohort of healthy aging male and female seniors who had been followed for 14 years. We conducted a prospective, longitudinal study in 866 Runners’ Association members (n = 492) and community controls (n = 374). Subjects were also categorized as Ever-Runners (n = 565) and Never-Runners (n = 301) to include runners who had stopped running. Pain was the primary outcome measure and was assessed in annual surveys on a double-anchored visual analogue scale (0 to 100; 0 = no pain). Baseline differences between Runners’ Association members and community controls and between Ever-Runners versus Never-Runners were compared using chi-square and t-tests. Statistical adjustments for age, body mass index (BMI), gender, health behaviors, history of arthritis and comorbid conditions were performed using generalized estimating equations. Runner’s Association members were younger (62 versus 65 years, p < 0.05), had a lower BMI (22.9 versus 24.2, p < 0.05), and less arthritis (35% versus 41%, p > 0.05) than community controls. Runners’ Association members averaged far more exercise minutes per week (314 versus 123, p < 0.05) and miles run per week (26 versus 2, p < 0.05) and tended to report more fractures (53% versus 47%, p > 0.05) than controls. Ever-Runners were younger (62 versus 66 years, p < 0.05), had lower BMI (23.0 versus 24.3, p < 0.05), and less arthritis (35% versus 43%, p < 0.05) than Never-Runners. Ever-Runners averaged more exercise minutes per week (291 versus 120, p < 0.05) and miles run per week (23 versus 1, p < 0.05) and reported a few more fractures (52% versus 48%, p > 0.05) than Never-Runners. Exercise was associated with significantly lower pain scores over time in the Runners’ Association group after adjusting for gender, baseline BMI, and study attrition (p < 0.01). Similar differences were observed for Ever-Runners versus Never-Runners. Consistent exercise patterns over the long term in physically active seniors are associated with about 25% less musculoskeletal pain than reported by more sedentary controls, either by calendar year or by cumulative area-under-the-curve pain over average ages of 62 to 76 years. The above study only further confirms what other studies have shown in regards to the relationship between greater physical activity and the associated less pain and disability associated with a higher health related quality of life. These studies refute the earlier claims and excuses of non exercisers that long term… runners will have debilitating arthritis or joint diseases! For me…they are mere excuses for those who lead a sedentary lifestyle. An analogy to this finding would be our recommendations for people with heart attack. A stressful activity may trigger the event BUT the long term risk is decreased by more activity. As more physical activties with lifestyle change have been shown to be helpful long term in reducing risk for chronic debilitating diseases. It is the ” too little activity over time” that may in fact be the primary cause of a large percentage of musculoskeletal injuries and NOT the other way around! With the worldwide epidemic of obesity, diabetes and Hypertension, it is but prudent to suggest that too much exercise is not the major public health problem… rather it is the Inactivty that is a Problem and the associated diseases that come with it! Remember….All the studies have proven so far that on the contrary… the more once moves the joints, the stronger they become to withstand injuries long term suggesting that indeed…. Lifetime physical activity Is Protective… to your joints, muscles and the whole physical being! So guys…let’s all enjoy running!!! The main reason for my weight loss through lifestyle change is my aim to reduce my risk to develop diabetes in the future. After a scary 96 mg/dl fasting blood sugar during my annual executive checkup, I pushed myself to achieve my ideal BMI becuase apparently I was overweight. Now as published in Lancet this October 29, 2009, the long term Diabetes Prevention Program extended study showed long term benefits of modest weight loss through lifestyle as better in preventing the progression of the disease compared to intake of medication called Metformin. In the 2·8 years of the Diabetes Prevention Program (DPP) randomised clinical trial, diabetes incidence in high-risk adults was reduced by 58% with intensive lifestyle intervention and by 31% with metformin, compared with placebo. We investigated the persistence of these effects in the long term. All active DPP participants were eligible for continued follow-up. 2766 of 3150 (88%) enrolled for a median additional follow-up of 5·7 years (IQR 5·5—5·8). 910 participants were from the lifestyle, 924 from the metformin, and 932 were from the original placebo groups. On the basis of the benefits from the intensive lifestyle intervention in the DPP, all three groups were offered group-implemented lifestyle intervention. Metformin treatment was continued in the original metformin group (850 mg twice daily as tolerated), with participants unmasked to assignment, and the original lifestyle intervention group was offered additional lifestyle support. 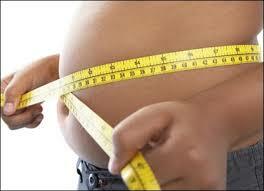 The primary outcome was development of diabetes according to American Diabetes Association criteria. Analysis was by intention-to-treat. This study is registered with ClinicalTrials.gov, number NCT00038727. During the 10·0-year (IQR 9·0—10·5) follow-up since randomisation to DPP, the original lifestyle group lost, then partly regained weight. The modest weight loss with metformin was maintained. Diabetes incidence rates during the DPP were 4·8 cases per 100 person-years (95% CI 4·1—5·7) in the intensive lifestyle intervention group, 7·8 (6·8—8·8) in the metformin group, and 11·0 (9·8—12·3) in the placebo group. Diabetes incidence rates in this follow-up study were similar between treatment groups: 5·9 per 100 person-years (5·1—6·8) for lifestyle, 4·9 (4·2—5·7) for metformin, and 5·6 (4·8—6·5) for placebo. Diabetes incidence in the 10 years since DPP randomisation was reduced by 34% (24—42) in the lifestyle group and 18% (7—28) in the metformin group compared with placebo. During follow-up after DPP, incidences in the former placebo and metformin groups fell to equal those in the former lifestyle group, but the cumulative incidence of diabetes remained lowest in the lifestyle group. Prevention or delay of diabetes with lifestyle intervention or metformin can persist for at least 10 years. The study clearly shows that weight loss through lifestyle changes can significantly reduce ones risk to develop diabetes by as much as 34%. The Intensive lifestyle changes in the study consisted of lowering fat and calories in the diet and increasing regular physical activity to 150 minutes per week. Most exercise was in a form of walking. Modest weight loss was around 15 lbs in the first year but overtime regained them all but 5 lbs over the next 10 years. I guess this shows that lifestyle really is difficult for some to maintain. What matters most for this study is that lifestyle change through fitness and nutrition really works. The only problem is how one can maintain to be active throughout ones life and how one can withstand the sight of FOOOOD!!!! For me….Its a matter of discipline and focus… The two main ingredients to achieving success through behavioral modification. 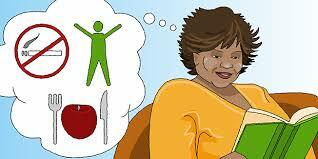 Clinically, the measure of success is when one is able to maintain the weight loss beyond 1 year of intervention. Losing weight in 6 months is good…but gaining them back in the next 6 months is bad….. The Facts are here… the Benefits are known… The rest now depends on YOU!